Johnnie To says it took him years to find the right balance between art and commerce, as the Hong Kong director known for his stylish gangster thrillers reviewed his 30-plus year career at one of Asia's top film festivals. Speaking at the 14th Pusan International Film Festival in South Korea on Friday, To traced his personal history back to his first job as a 17-year-old messenger at leading Hong Kong broadcaster TVB. The 54-year-old filmmaker said he became disillusioned with Hong Kong's star-driven system in the early 1990s, and after making a series of commercial films, he decided to carve his own path by founding his now famed production company, Milkyway Image, in 1996 with fellow director Wai Ka-fai. "The main goal was originality," he said. "I decided that I didn't have to use stars. I would use whoever is right for the script." But after Milkyway Image made a series of stylized films that bombed at the box office, like "The Longest Nite" and "The Mission," To said he was forced to reconsider. "We had to think about our future development. If our box office results continued to suffer, we wouldn't be able to find any investors," he said. Thus Milkyway Image turned to more mainstream fare starting in 2000 with the romantic comedies "Needing You" and "Love on a Diet," which both starred Andy Lau, one of Asia's biggest stars. "I realized if I have to continue, I needed to balance both artistic and commercial factors," To said. One of Hong Kong's most prolific filmmakers, To's body of work encompasses TV, comedy, art-house, action and kung fu. His recent works include "Election," "Exiled" and his 2009 English debut, "Vengeance," starring French rock star Johnny Hallyday. The film was nominated for the top Palme d'Or prize at the Cannes Film Festival earlier this year. He is often held up as one of Hong Kong's most distinctive filmmakers, especially when local stories are being overshadowed by big-budget martial arts and historical epics from mainland China. 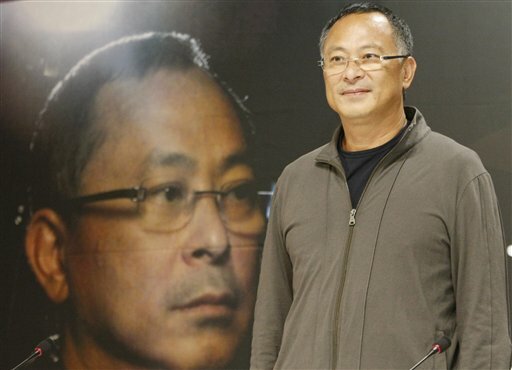 To also made rare comments at the festival about his youth, revealing that he dropped out of secondary school to work at TVB, where he made his way up to TV drama director in 1977. He said he felt compelled to work harder than his colleagues because of his lack of formal education. "I didn't go to film school. ... I learned about filmmaking as I worked on the job," he said.